I am SO excited about today's link up! Grab our graphic and join us!! 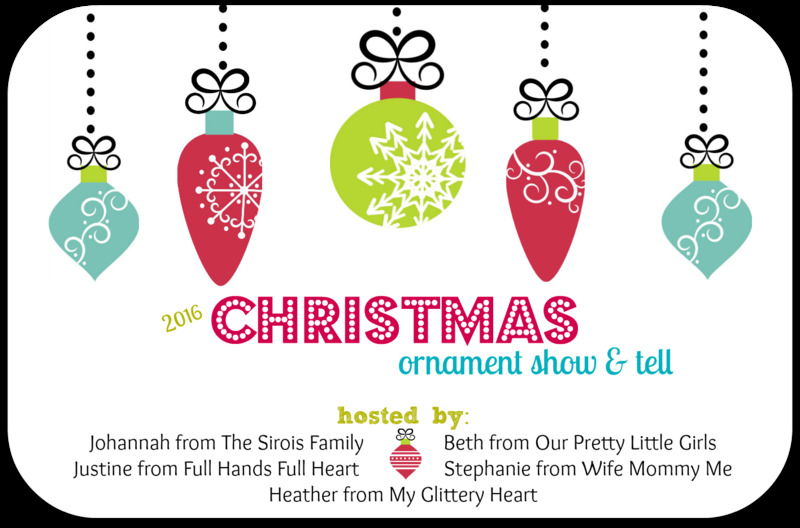 I am sharing a few of my FAVORITE ornaments! In 3rd grade, Ian made this precious "melted snowman" ornament! It is the absolute cutest thing ever! Well Miss. Priss has the same 3rd grade teacher and guess what she came home with on Friday! I LOVE that I now have both of these precious ornaments!! It is always one of the kids FAVORITE Christmas Traditions to get the new ornament! This Pug ornament has always been my favorite because of our sweet Tazy. Ben and I closed on our house August 15, 2003. We got Tazy August 18th, 2003! Well this year this ornament has a whole new special meaning! We now have our sweet Trixie girl to love!! Disney is one of our FAVORITE places on Earth! A few years ago, we went on Thanksgiving break and brought back these ornaments! We will always cherish the memories these ornaments hold! 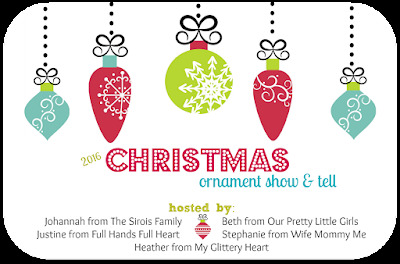 I can't wait to see some of your FAVORITE ornaments and why! !